Is Email Between You And Your Client Safe? No, And This Is Why. ≈ Comments Off on Is Email Between You And Your Client Safe? No, And This Is Why. If you have decided you need to get serious about client data protection, you will need to consider encrypting both your data and your communications. We have previously covered how to encrypt your data and will focus here on how to encrypt your email communication. Simply by using the Internet, you are probably using some sort of encryption scheme during some activities, whether you know it or not. Encryption is simply the act of turning your data into unreadable gibberish. If your data is intercepted or hacked, the thief now has nothing but a pile of garbage. End-to-end encryption is a must for transferring sensitive data across the internet. In end-to-end encryption, your data is encrypted while it travels towards your intended location and the same encryption occurs on the reverse trip. Your bank (hopefully) uses end-to-end encryption. Your practice management software (hopefully) uses end-to-end encryption if it stores and syncs data remotely. This sort of encryption is done for you without any effort on your part, as it is just a standard feature of the infrastructure you are using to bank or update client data or similar activities. Why Do You Need to Care? A few years ago, the ABA issued a formal ethics opinion stating that if there is a significant risk that a third party might gain access to the email, attorneys have to warn clients about that risk. This poses a problem, because unlike your bank and practice management software, email is usually unencrypted. This is true whether you are using a desktop client or a web-based email like GMail. . . . Huge Cyberattack on JPMorgan Chase and Wall Street – How Far Does It Go? ≈ Comments Off on Huge Cyberattack on JPMorgan Chase and Wall Street – How Far Does It Go? ‘The huge cyberattack on JPMorgan Chase that touched more than 83 million households and businesses was one of the most serious computer intrusions into an American corporation. But it could have been much worse. Questions over who the hackers are and the approach of their attack concern government and industry officials. Also troubling is that about nine other financial institutions — a number that has not been previously reported — were also infiltrated by the same group of overseas hackers, according to people briefed on the matter. The hackers are thought to be operating from Russia and appear to have at least loose connections with officials of the Russian government, the people briefed on the matter said. It is unclear whether the other intrusions, at banks and brokerage firms, were as deep as the one that JPMorgan disclosed on Thursday. The identities of the other institutions could not be immediately learned. The breadth of the attacks — and the lack of clarity about whether it was an effort to steal from accounts or to demonstrate that the hackers could penetrate even the best-protected American financial institutions — has left Washington intelligence officials and policy makers far more concerned than they have let on publicly. Some American officials speculate that the breach was intended to send a message to Wall Street and the United States about the vulnerability of the digital network of one of the world’s most important banking institutions.’ . . .
Apple iCloud’s Two-Step Verification – Why It Didn’t Stop Hackers. ≈ Comments Off on Apple iCloud’s Two-Step Verification – Why It Didn’t Stop Hackers. Apple said Monday it was ‘actively investigating’ the violation of several of its iCloud accounts, in which revealing photos and videos of prominent Hollywood actresses were taken and posted all over the Web. Security experts said the hacking and theft of revealing pictures from the Apple iCloud accounts of a few celebrities might have been prevented if those affected had enabled two-factor authentication on their accounts. Apple hasn’t yet said anything definitive about how the attacks were carried out, but security researchers at the security firm FireEye, examined the evidence that has emerged so far, and said it appears to have been a fairly straightforward attack. That said, it is also one that could have been thwarted had some additional steps to secure the targeted accounts been taken. That additional step is known as two-factor authentication. Apple calls it ‘two-step verification,’ although it doesn’t work very hard to tell people about it, said Darien Kindlund, director of threat research at FireEye. When enabled, two-factor authentication requires users to enter a numerical code that is sent to their phone or another device, in addition to using their regular password. Since the number constantly changes, it makes it much more difficult for attackers to gain access the account, even if they know the password. Assuming the compromised accounts were running without the two-step option turned on, it would then have been relatively easy for the attacker to gain access to the accounts. As The Next Web reported earlier today the attack may be linked to software on GitHub called iBrute that is capable of carrying out automated brute-force attacks against iCloud accounts. In this scenario, an attacker simply guesses a password again and again until they succeed. While tedious and time-consuming for a person, it’s a simple and infinitely faster process for a computer. The as-yet unknown attacker had one other thing going for him: Apple allows an unlimited number of password guesses. Normally, systems limit the number of times someone can try to log in to a system with an incorrect password before the account is locked down entirely. Apple has since fixed that aspect of the vulnerability. 10 Top Law-Related TED Videos. ≈ Comments Off on 10 Top Law-Related TED Videos. Have you heard of TED? It began in 1984 as a conference and now covers a wide range of topics in more than 100 languages. Think of it as a massive brain trust that shares great ideas and information. The Hole In Mobile Security Making Your Phone An Easy Target. ≈ Comments Off on The Hole In Mobile Security Making Your Phone An Easy Target. Despite the fact that every major Internet provider has added some kind of encryption to its services over the past year, tracking your online traffic is easier than you think. And you don’t have to be the target of the hacker or the NSA for your traffic to be intercepted. There is a hole in mobile security that could make tens of millions of Americans vulnerable. Unsecure Wi-Fi networks have been a well-known vulnerability in the tech industry for years. 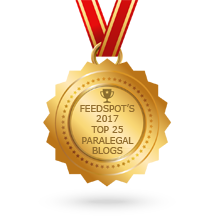 They can let even the most unsophisticated hacker capture your traffic and possibly steal your identity. . . .
2014 Best of Legal Tech from Jim Calloway. 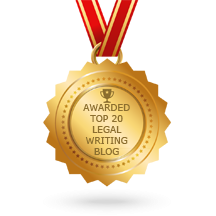 ≈ Comments Off on 2014 Best of Legal Tech from Jim Calloway. John Simek is our guest, who is the business partner and spouse of my podcast teammate, Sharon Nelson. Together with Michael C. Maschke, they were the authors of The 2014 Solo and Small Firm Legal Technology Guide: Critical Decisions Made Simple, published by the American Bar Association. I was quite honored to be asked by them to write the forward for the book. We discuss all sorts of technology for solo and small firm lawyers, including practice management software, workstations and cloud-based services. Enjoy the podcast. Apple Fixes NSA Encryption Security Flaw. But over the weekend, there were two posts about this update by John Gruber of Daring Fireball (Post 1, Post 2) that I thought were pretty interesting. According to PRISM documents leaked by Edward Snowden, the NSA gained the ability to intercept encrypted iPhone traffic in October of 2012, and that’s apparently right after the bug fixed by iOS 7.0.6 was introduced. As Gruber notes, this could mean all sorts of things. It could mean that someone at Apple intentionally added a backdoor for the NSA. Or it could mean that someone at Apple made a simple coding mistake but the NSA found out about it and exploited it. Or it could just be a big coincidence, but there is at least a chance that Apple has now found and fixed a security bug that had been exploited by the NSA. . . .
How Soon Will Everything On The Internet Be Encrypted? ≈ Comments Off on How Soon Will Everything On The Internet Be Encrypted? Coming Soon: An Encryption by Default World, by Sharon D. Nelson, Esq., Ride the Lightning! With Yahoo promising “encryption everywhere,” Google moving to 2,048-bit certificates by year’s end, HTTP 2.0 to be automatically encrypted, and a renewed interested in secure email, we’ve entered a new phase: the era of encryption by default over the network — and maybe everywhere else, too.